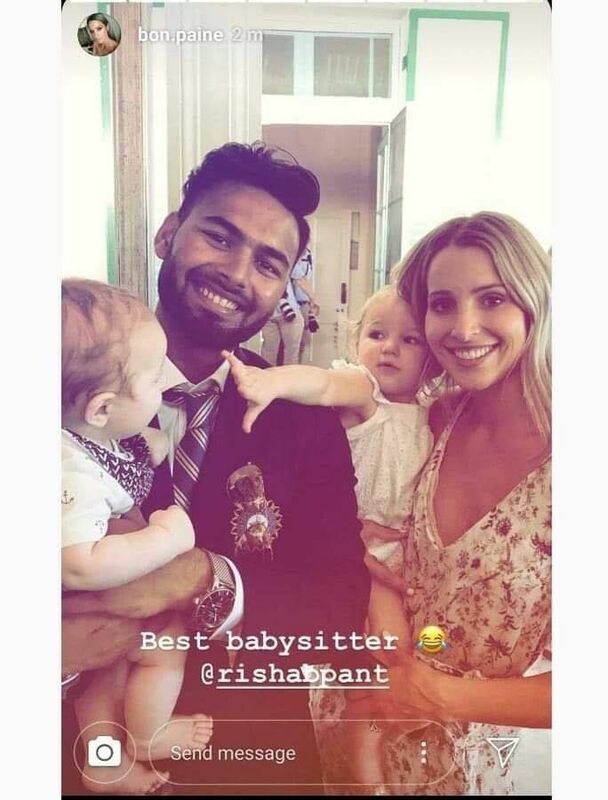 Looks like the ‘babysitter’ tag will never leave Rishabh Pant. Ever since Australia skipper Tim Paine sledged the India wicketkeeper, the cricketing world has been making sure that the tag does not fade away. Recently, Star Sports released an advertisement inspired from that sledge ahead of the upcoming T20I and ODI series between India and Australia. And on Monday, Hobart Hurricanes did something similar. Tim Paine and his wife attended the Australian Cricket’s annual award on Monday night. Cricket Australia’s Instagram page posted an image of the couple. The biggest names in 🇦🇺 cricket have arrived for the #AusCricketAwards – live on 7mate and Fox Cricket from 7pm AEDT! Pant had later taken revenge by calling Paine a “temporary captain” and mocked him from behind the stumps. Australia and India, meanwhile, are once again set to lock horns later this month. Australia’s tour of India will begin with a T20I on February 24. After the two T20Is, the five-match ODI series between Australia and India will begin on March 2 at the Rajiv Gandhi International Cricket Stadium in Hyderabad. The Vidarbha Cricket Association Stadium (Jamtha) in Nagpur will host the second ODI on the 5th.